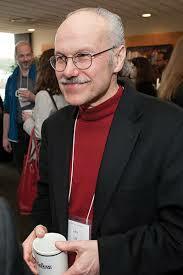 John Lis is a Professor in the Department of Molecular Biology and Genetics. He did his undergraduate studies at Fairfield University, his graduate research at Brandeis University and received his Ph.D. in Biochemistry in 1975. His postdoctoral work focused on Drosophila gene regulation and chromosome structure at Stanford University, during which time he was supported by a fellowship from the Helen Hay Whitney Foundation. Dr. Lis joined the faculty at Cornell in 1978. His research program has been supported by the National Institutes of Health, including a MERIT Award, the National Science Foundation, The March of Dimes, American Cancer Society, Cornell Biotechnology Institute, and a Proctor and Gamble University Exploratory Research Grant. Dr. Lis was elected to the National Academy of Arts & Sciences in 2013, and was inducted into the National Academy of Science in 2015. Dr. Lis’ main teaching is focused in BioBM6390, The Nucleus. This course focuses on the structure and function of the eukaryotic nucleus and covers the following topics: genome organization, chromatin structure, transcription factors, gene regulatory mechanisms, RNA processing, DNA replication, and nuclear architecture. 1. “Genomics of Gene Regulation”. Both an experimental version and a computational version, which was co-taught with Dr. Adam Siepel. I am truly looking forward to your lecture today at Rockefeller University. I yearn to understand how spontaneous mutations that are advantageous can arise through changes in transcription, I am still learning.